The 360 & F430 cars frequently suffer from worn out ball joints that fix the wishbones to the hubs. Ferrari have stopped supplying the balljoints on their own and will only sell you a whole arm at an exorbitant cost. 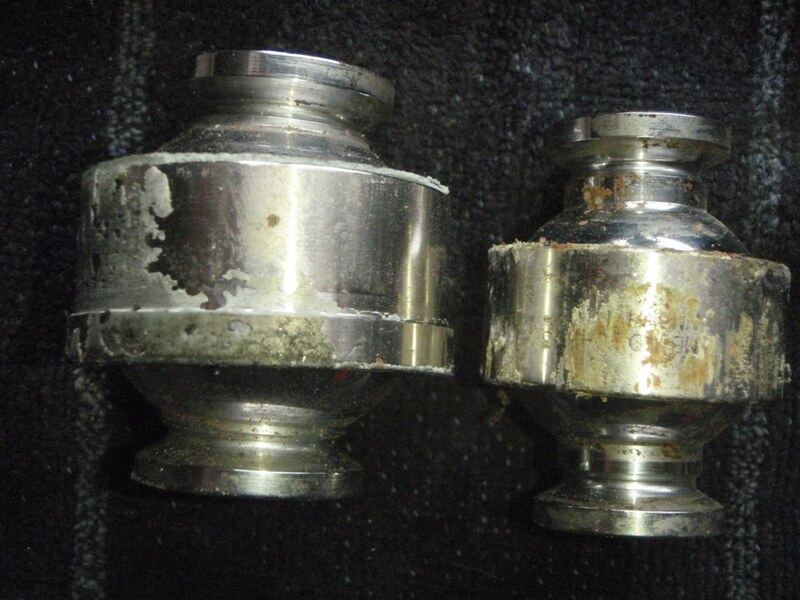 The OEM ball joints are badly engineered – they are manufactured from mild steel which is then chrome plated. Once the chrome wears off the joint rusts and the the tell tale knocking starts (usually heard from the glove box). 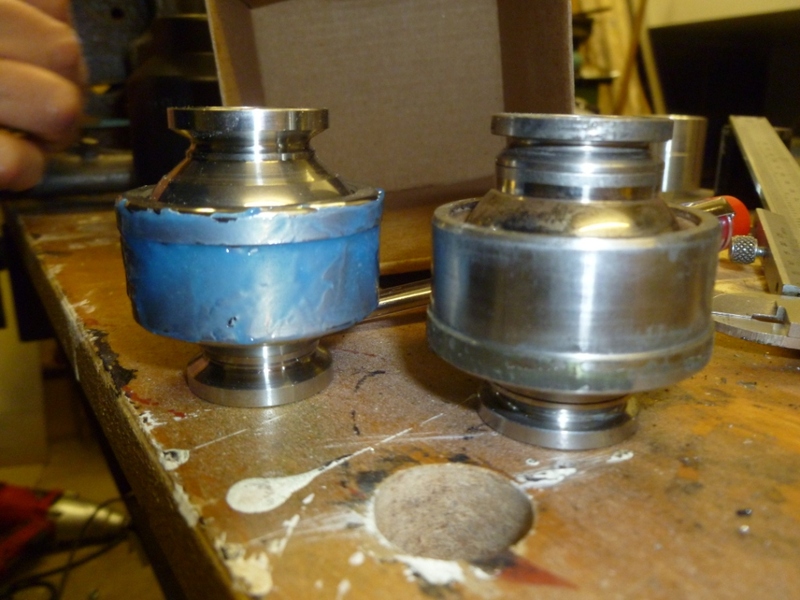 Fortunately, Hill Engineering supply an uprated ball joint made from stainless steel (link below) that does not suffer from corrosion and is far cheaper than buying from Ferrari. They also sell the rubber boots/gaitors and also the special glue used to fix the joints in the arm. 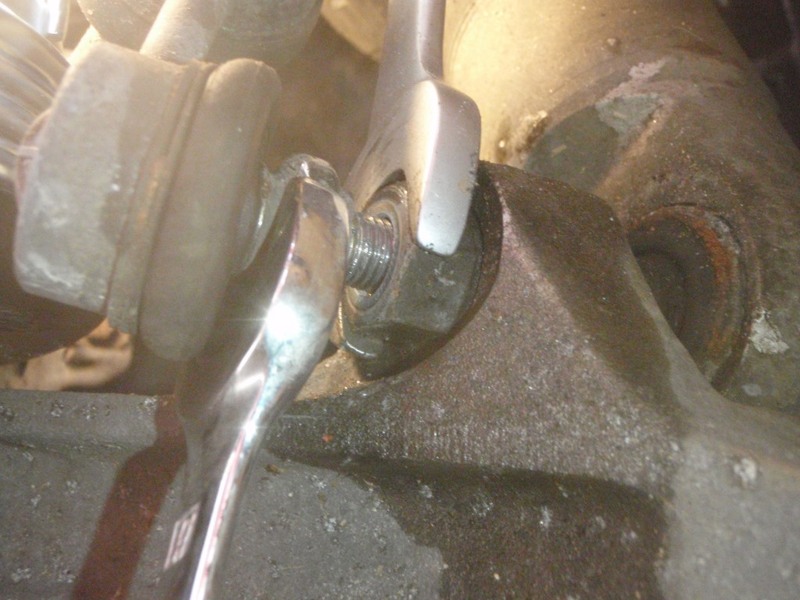 Replacing the ball joints is a moderatly difficult DIY task – this post will run through the procedure. First of all the wishbone (suspension arm) needs to be removed. Both the top and bottom arms are held to the chassis with four nuts and a single hex drive bolt holds the arm to the hub (the lower arm also has the shock mounted to it – remove the drop link first). 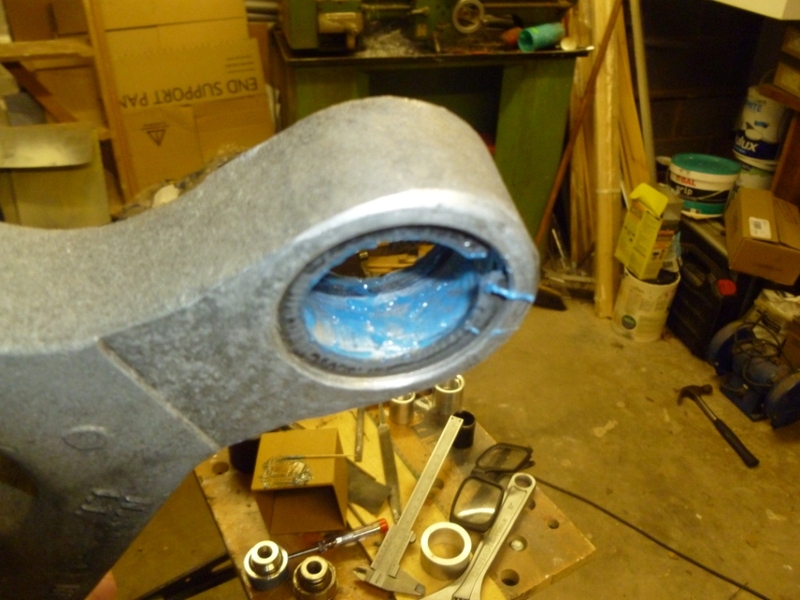 Once the arm is removed the hub will need to be supported in place taking care not to damage the flexible brake lines. 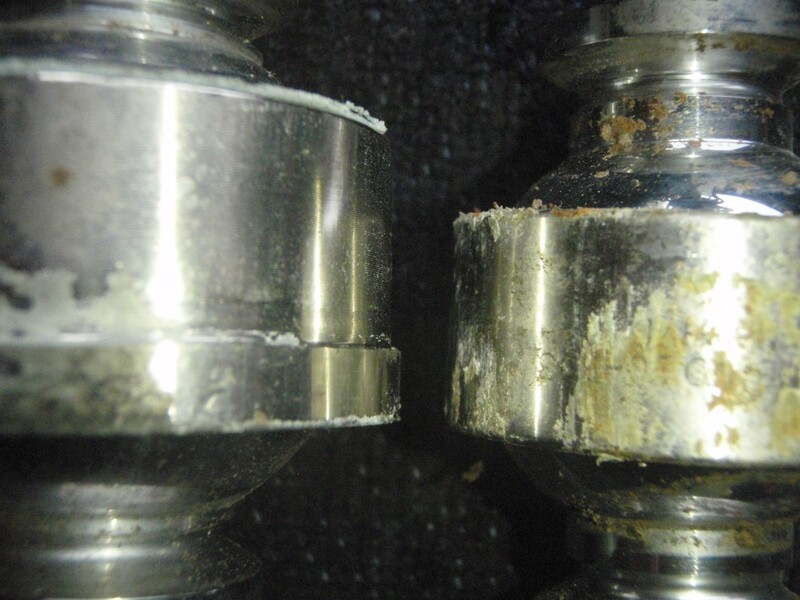 Please take note of the location of any shims that are present – they will need to be refitted in the same place otherwise the suspension geometry will change. Once the arm is free, the rubber boots will need to be removed. They have integral circlips so a pair of circlip pliars is required to get them out. This photo shows an old OEM joint installed in the arm. You can see where the chrome has worn away and the rust has taken hold. 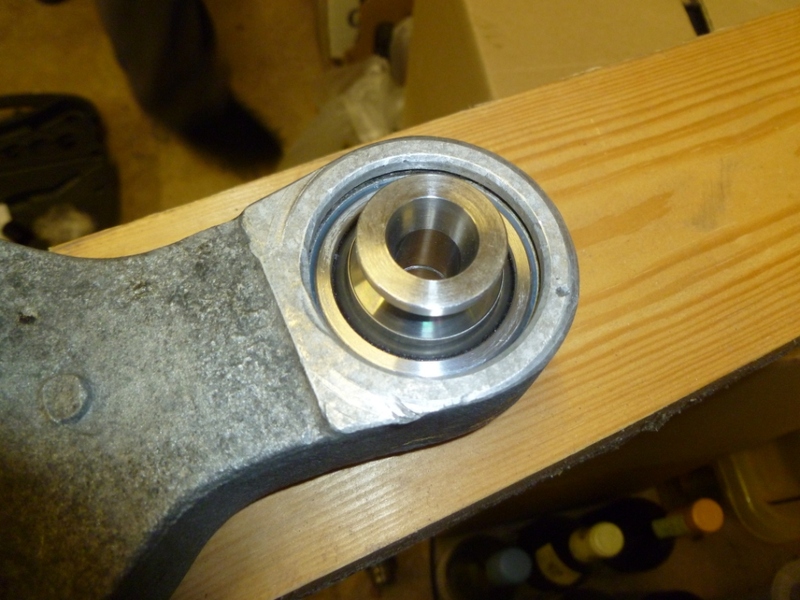 The ball joint is pressed into the arm and needs to be pressed out again. Here a piece of aluminium is used to press against the joint itself and a large socket is used to press against the arm. Note the heat gun used to break the glue bond. 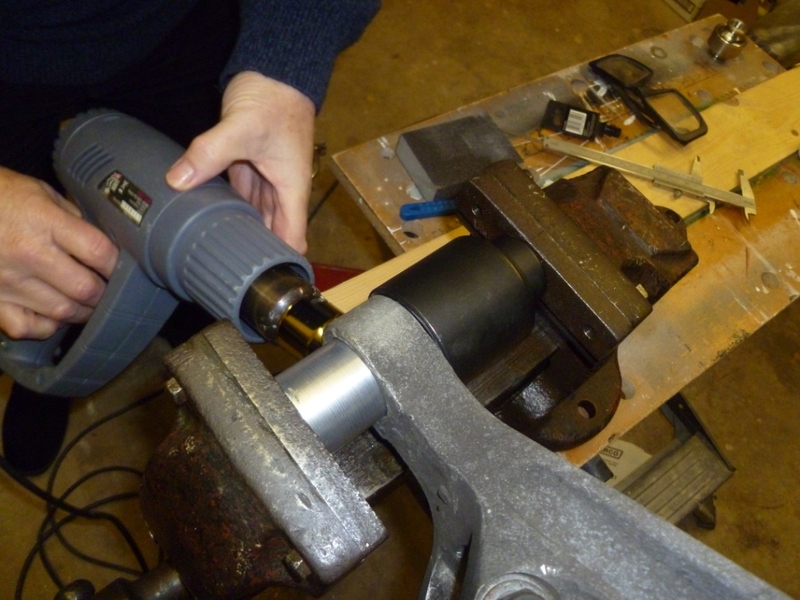 Very little force is required and a large bench vice will do the job. 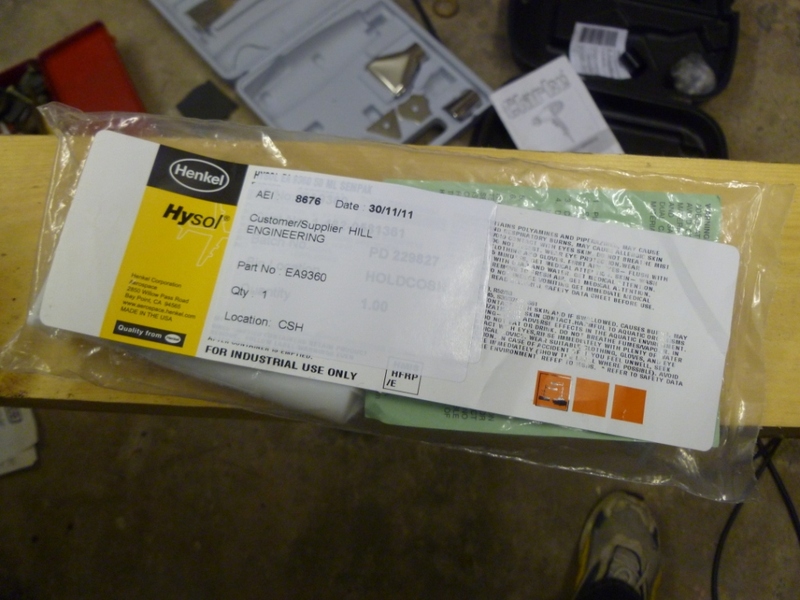 Alternatively, Hill Engineering sell specific tools to do this job (see link above). 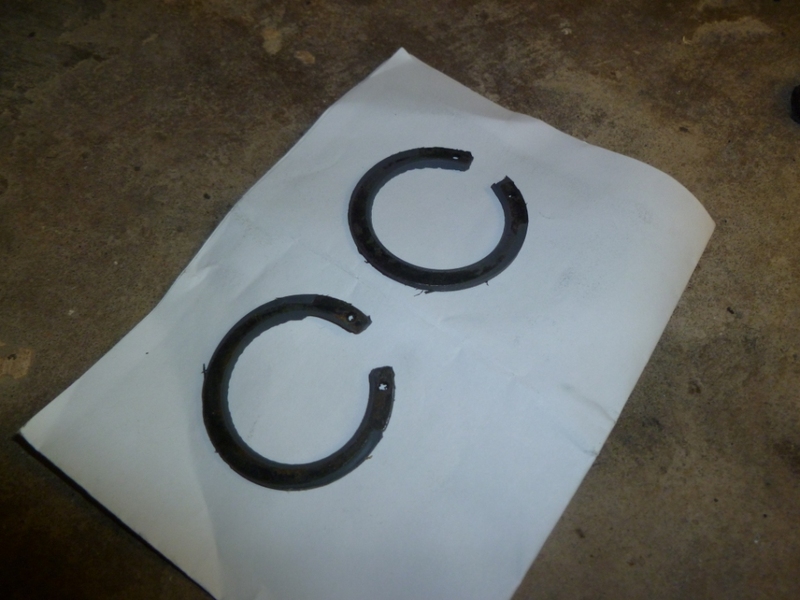 Next, take the old rubber boots and cut out the circlips. Clean up the inside of the arm and install the circlips into the grooves. They will stop the glue getting where it shouldn’t. The joints are glued in with Hysol adhesive. This can be bought from Hill Engineering in 65ml tubes. Note: This glue should be stored in a cool environment when not being used. 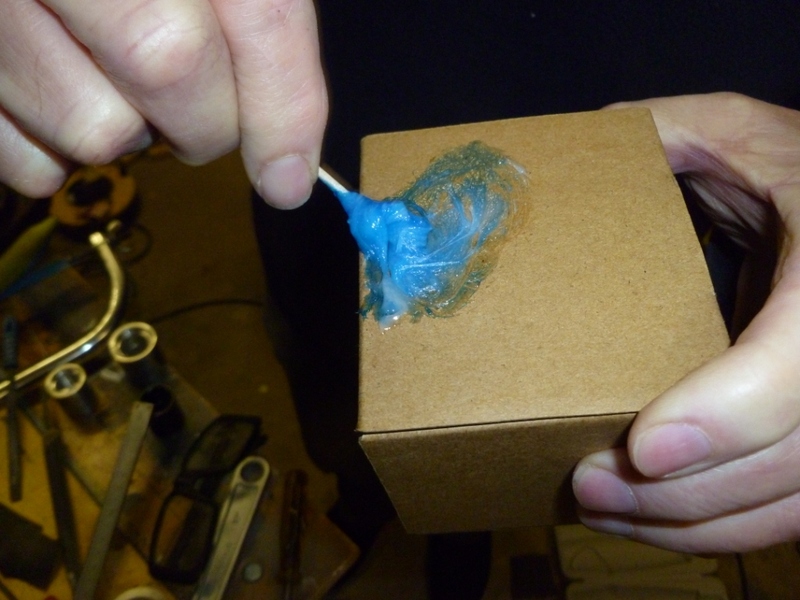 The glue is in two parts and needs to be mixed prior to application. Apply the glue to the arm and the new balljoint. Now the joint can be pressed back into the arm (one circlip will need to be removed but the other will act as a stop when the joint is in the correct place). 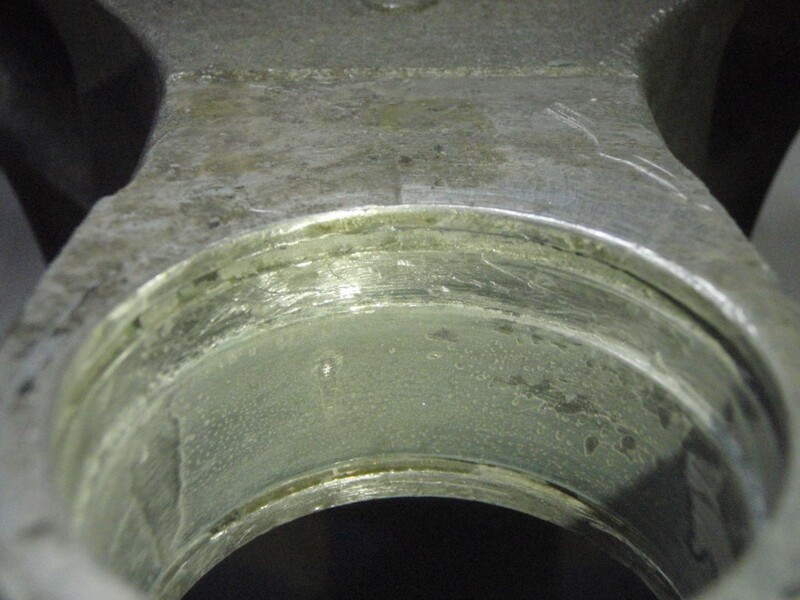 Excess glue can be cleaned up with isopropyl alcohol. Next put fresh rubber boots onto the joint. The glue will need to be baked – I simply place the arms in a warm environment overnight (next to a domestic boiler is ideal). 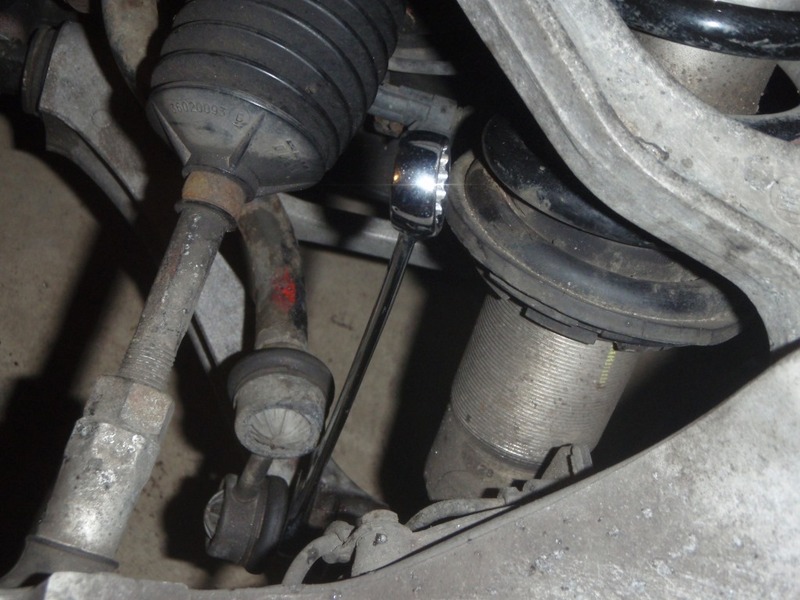 The process for replacing the lower suspension ball joint is pretty much the same as the upper ball joint above, except for a couple of minor differences. Firstly, the lower shock absorber mounting needs to be detached. (Before I did this, I loosened the lower hex (H14) bolt holding the ball joint onto the suspension arm. It needs some grunt.) 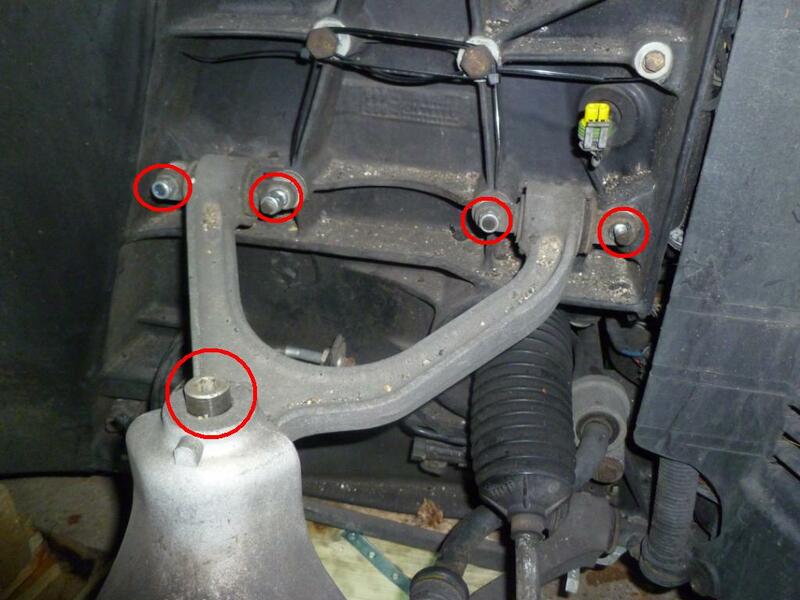 The anti-roll bar (ARB) is screwed into the end of the shock absorber mounting bolt, and needs to be detached first. Take the tension off the ARB by jacking up both sides of the car and rest the chassis on axel stands. 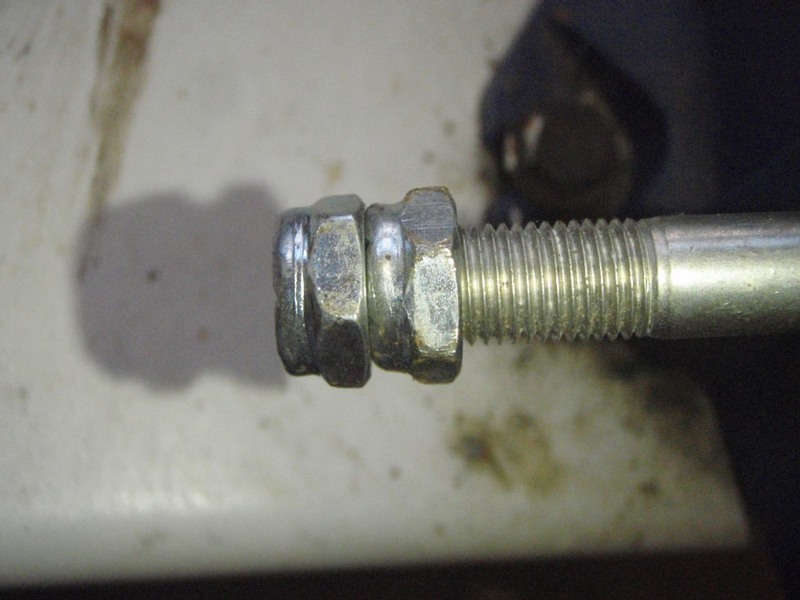 The bolt holding the ARB on is not a hex, but has two flats. Loosen with 17mm and 19 mm spanners. 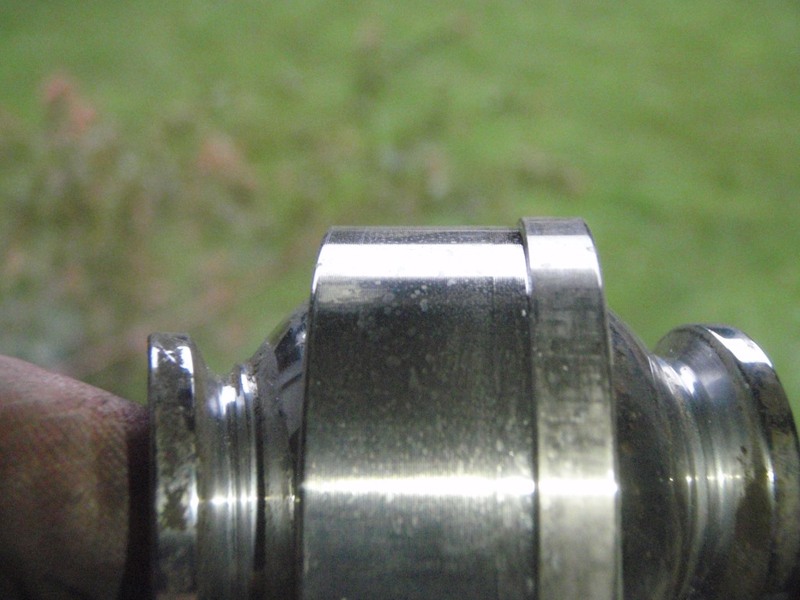 To unscrew the ARB bolt you may be lucky, and grip provided by the nylock nut at the other end of the shock absorber bolt may be sufficient to enable you to use a 19mm ratchet at this end and grip the ARB bolt with a 17mm spanner [Photo A] and rotate the whole bolt. I wasn’t that lucky. 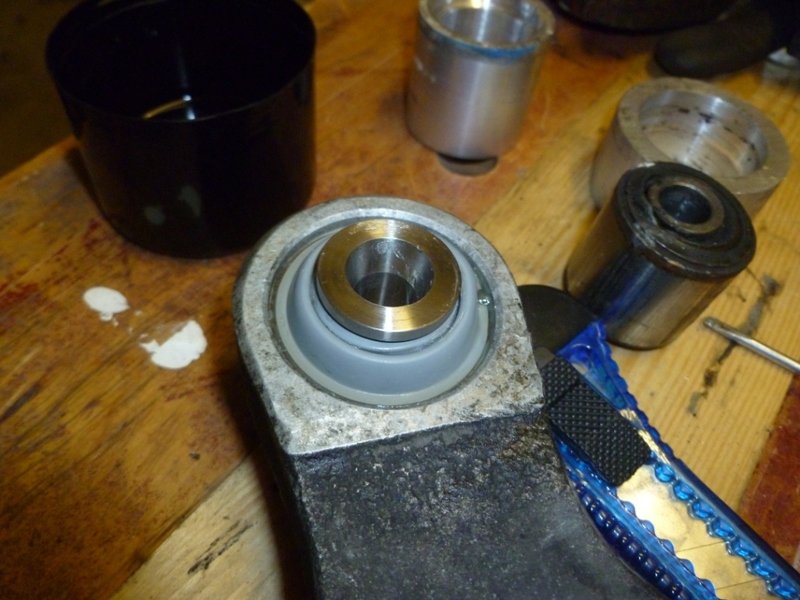 In this case, use another 17mm nut (pinch the one off the other side if you don’t have one) and lightly tighten the two nuts together. 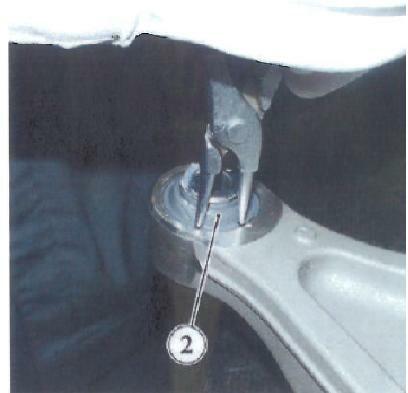 (I have shown an example on another bolt off the car in [Photo B] below). This should give you enough grip to get the ratchet on the nut end and rotate the whole bolt to unscrew the ARB at the other end. If this doesn’t work either it is just a fiddle – keep unscrewing and juggle the spanners at the other end [Photo C]. The bolt holding the ARB on is quite long. After the ARB is off, move the drop link to one side and the shock absorber bolt slides out easily. 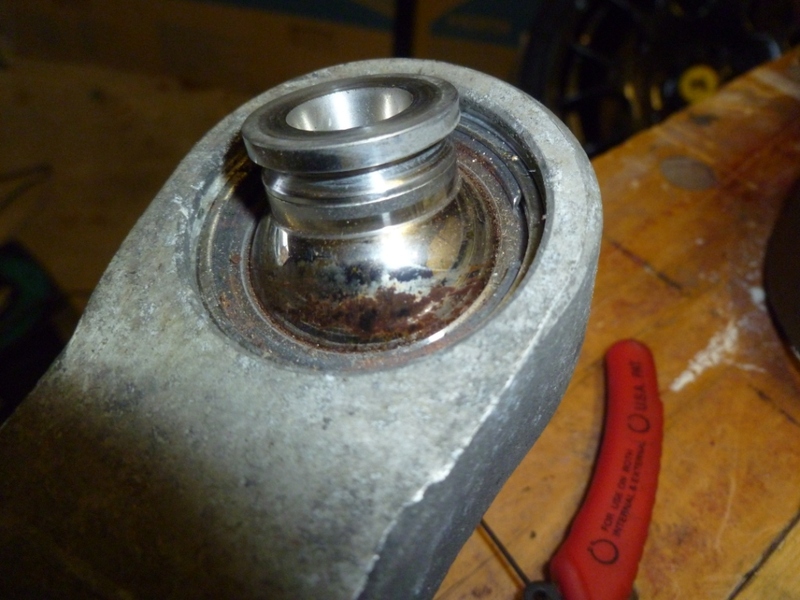 When re-assembling, I found that a good coat of copper grease enabled the bolt to rotate easily, and I could use the ratchet on the nut end just using the nylock nut. 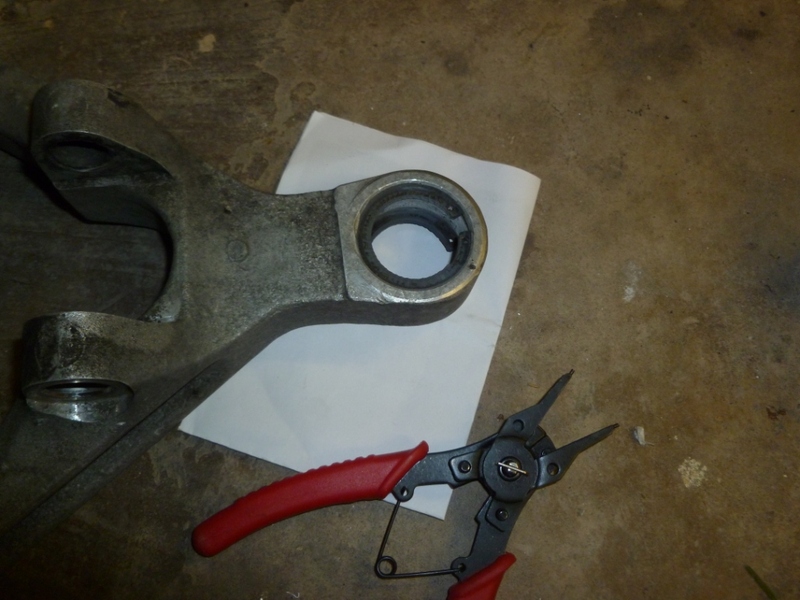 Tighten the ARB drop link with the 17mm and 19mm spanners, then the shock absorber bolt. The second difference is that the lower ball joint has a lip. Therefore press out the old one from the top (and the new one from the bottom). It only comes out one way. [Photos D & E]. Please advise what is the cost of kit for replacement bush for F430 lower ball joint.